Massachusetts health regulators acknowledged Wednesday they still have no timetable for intensifying scrutiny of nursing home sales and closings, even though the Legislature mandated stricter reviews 10 months ago. The admission came as a member of a board that sets state health policy urged regulators to move more swiftly, especially with the increased pace of for-profit companies buying up family-owned nursing homes. “We have seen some sudden closures, and more of the for-profits coming in, and allegations about their quality of care,” said Dr. Alan Woodward, a member of the Public Health Council, an appointed body of academics, consumer advocates, and physicians. 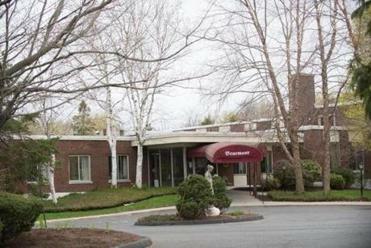 Revelations about the brisk expansion and quality of care at nursing homes owned by Synergy Health Centers, a New Jersey corporation that is poised to buy more Massachusetts nursing homes, has reignited frustrations about the state’s lack of action. The Globe reported last week that Synergy has purchased 10 Massachusetts nursing homes since December 2012, including two in March. State inspections of Synergy’s nursing homes routinely show striking increases in problems after the company arrives. Inspections show striking increases in problems since Synergy Health Centers began buying nursing homes in Mass. State Senator Harriette Chandler, the Senate’s majority leader, said she is troubled that the law she championed last year has fallen by the wayside. Roughly 40,000 residents live in Massachusetts’ 420 nursing homes. Had regulators implemented the law, three of the most recent Synergy acquisitions — in Brockton, Revere, and Wilmington — would have received public scrutiny before the deals went through. Chandler said she has spoken with health department officials and asked for a list of laws that have been passed but not implemented because the agency is still crafting regulations. Elder advocates lobbied for years to win legislators’ 2012 approval of a strengthened law governing nursing-home dementia care, but it took the health department nearly two more years to issue rules implementing that law. A state official told the Public Health Council that her team has been meeting with elder advocates, the nursing home trade association, and the health care workers’ union to hear their thoughts on crafting regulations for the nearly year-old nursing home scrutiny law. Allwes said her bureau is “getting to a point to where we could make solid recommendations” but was unable to say when it would implement the law. At the same time regulators work on the oversight rules, Synergy is signaling that it intends to buy an 11th home, Grosvenor Park Rehabilitation and Nursing Center in Salem, with a proposed sale June 1. Grosvenor, family owned for 21 years, is a five-star nursing home, the highest rating from the federal Centers for Medicare & Medicaid Services, and state inspection reports show a blemish-free record for more than two years. Richard Salter, president of Grosvenor Park, declined to comment on the pending sale. Synergy did not respond to an e-mail or call. Woodward and other council members said they are concerned that a recent executive order by Governor Charlie Baker could hamper the state health department’s ability to implement the rules and ensure quality care at nursing homes. Baker ordered a yearlong review in March of nearly all state regulations, with a mandate that none should exceed federal requirements, which are often less stringent than the state’s. Paul Lanzikos, a former state Elder Affairs secretary, urged regulators to set a more expansive goal with their rewriting of nursing home rules, saying a comprehensive overhaul was years overdue. Lanzikos, now a Public Health Council member who has been tracking health department data regarding nursing home expansions, said that since 2009, at least 75 nursing homes have filed applications for nearly $600 million in building projects that received no public scrutiny. Just on Boston’s North Shore, where Lanzikos runs an elder care agency, six nursing homes have recently converted to shorter-stay rehabilitation centers, often because they can make more money. Now, Lanzikos said, the area is saturated with rehab centers, while there is a need instead for nursing homes that care for frail elders. Lanzikos said that while tragedies grab headlines, thousands of elders far from the spotlight are probably missing their medications or other care on a daily basis because of the inattention to nursing homes.